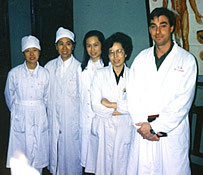 Alan, having undergone intensive tuition in medical studies in the UK, qualified at Advanced Level as a Doctor of Acupuncture and Traditional Chinese Medicine at Shanghai University, China. Qualification for admission to the university being limited to graduates of medical colleges and senior medical students only. 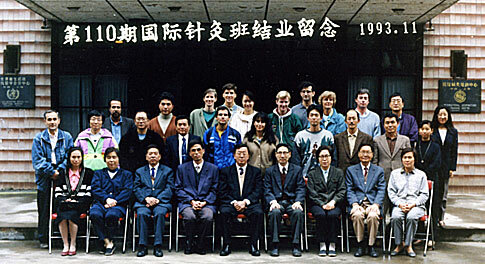 Alan participated in the Shanghai No 1 Peoples Hospital with a patient list of approximately 200 patients. Professor of traditional Chinese Internal and External martial and therapeutic arts. Master of Qi-Gong, the Science of Therapeutic Breathing Exercise, and Tai-Ji, The Traditional Chinese form of exercise for health and fitness. Alan is a Member of the internationally renowned Qigong Institute, that furthers research into scientifically demonstrable benefits of medical Qi-Gong. Member of, and Technical Advisor to the British Register of Complimentary Practitioners (Chinese Medicine Division). Advisor to the Institute of Complementary and Natural Medicine (ICNM), collaborating with the ICNM to provide Continuing Professional Development in the medical therapies: Qi-Gong, Tai Chi, and related fields/disciplines. Alan is a Member of the important UK Institute for Continuing Professional Development. Alan is a Master of Traditional Chinese Internal and External Arts, and Inner Chamber Disciple of the Legendary Grandmaster Chee Kim Thong , Shaolin, China. He has acquired a deep knowledge of the many ancient and traditional arts and is considered to be one of the most accomplished exponents of these arts and their applications. Winner of the ICNM Best Practitioner of the Year Award (Southwest England) 2010 for his educational work in raising greater national awareness of the importance of Chinese therapeutic arts. In March 2010 Alan contributed a very popular and important lecture concerning the increasingly influential role of Chinese therapeutic arts and TCM within UK healthcare provision, as part of the prestigious Bournemouth University 'Global Talks' lecture series. In 1997 he was accepted to study at SOAS, University of London, for the degree of BA (Hons) Chinese Mandarin Language, and is fluent in Colloquial Chinese.